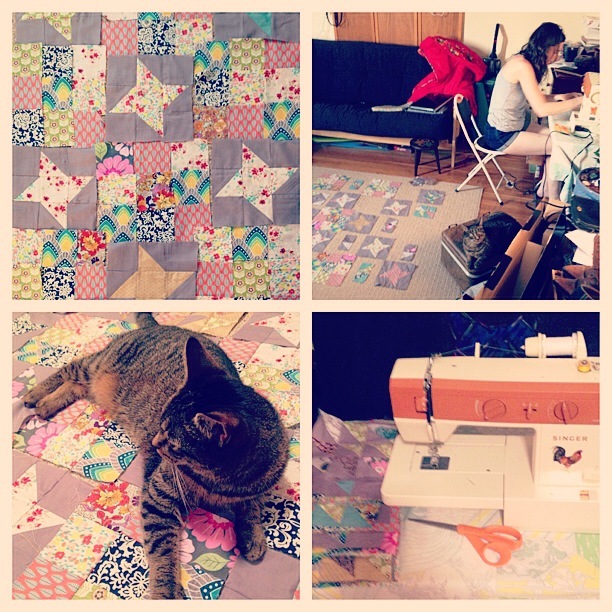 Gift Fox is now quilting in Queens! 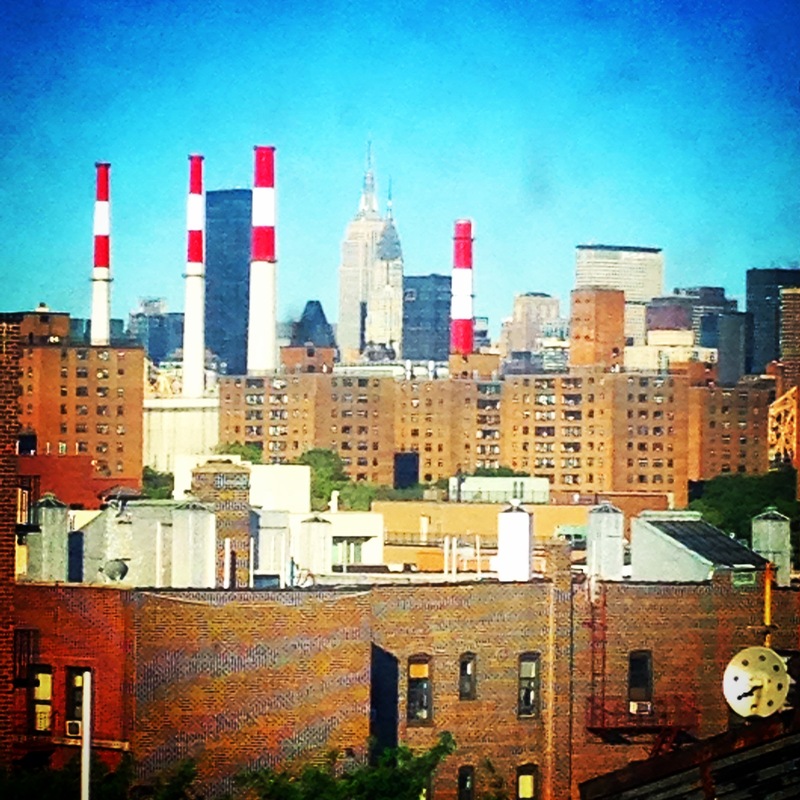 While the new apartment in Astoria is a bit tight, it’s not entirely un-quilt-friendly. Without the amazing counterspace of my Dover, NH apartment, and without the high-ceiling, skylight room of my Kittery, ME apartment, this new Astoria apartment has (maybe) enough floor space to do a full-size quilt. And when I say “floor space,” I literally mean cutting fabrics & arranging them on the rug in the living room. Any projects I complete here, I will celebrate with an entire bottle of red wine. Quilting in NYC is a bit like homesteading: It doesn’t seem like many quilt here, so finding things like batting can be tricky. And the apartment spaces don’t have the counters and table-space, which requires some ingenuity when you’re in the middle of rotary-cutting, machine sewing, and ironing. 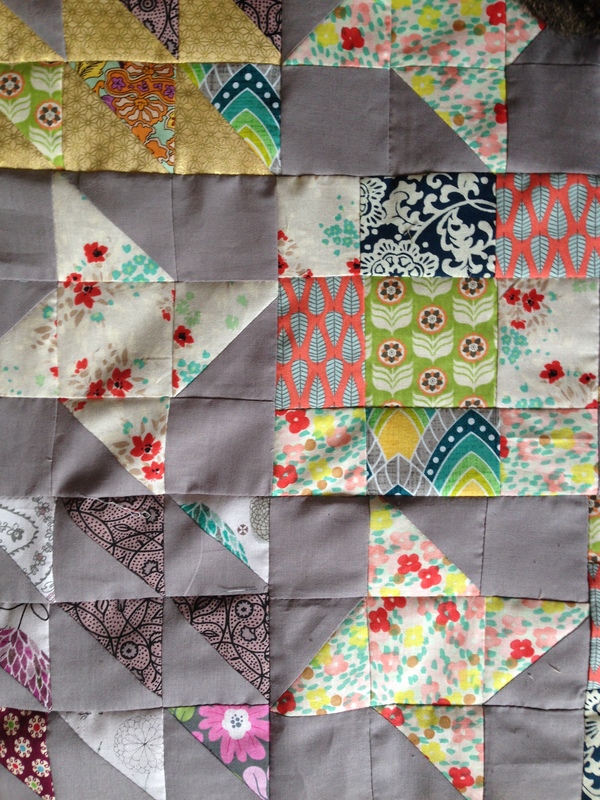 Remember that scrappy quilt I was pulling together in March? The one that had all the fabric scraps from the zipper pouches I made at Christmas? 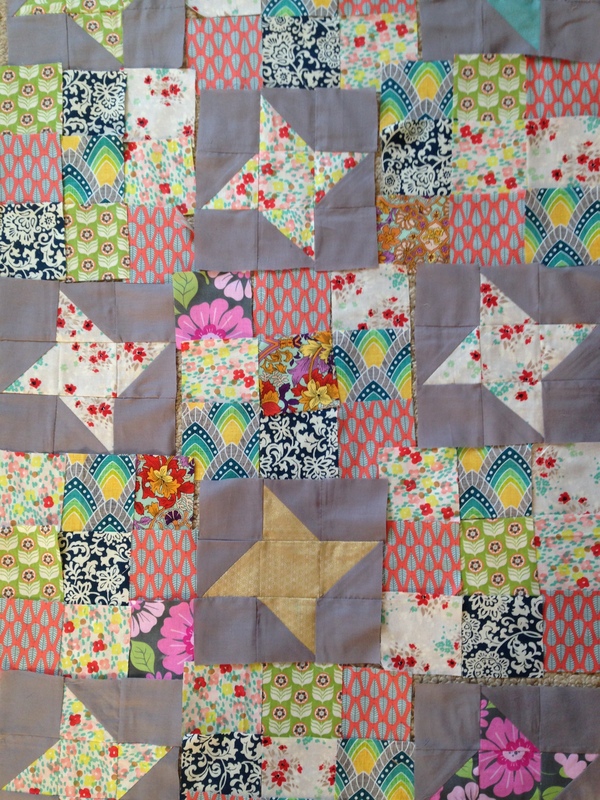 After four months cooped up in my craft dresser, this sister star quilt is coming together. I am happy to be quilting again, and can’t wait to update you on all my new projects this year! Very glad to see that Tilly is still supervising! Beautiful quilts, all of them!!! Jess! I had no idea that 1. 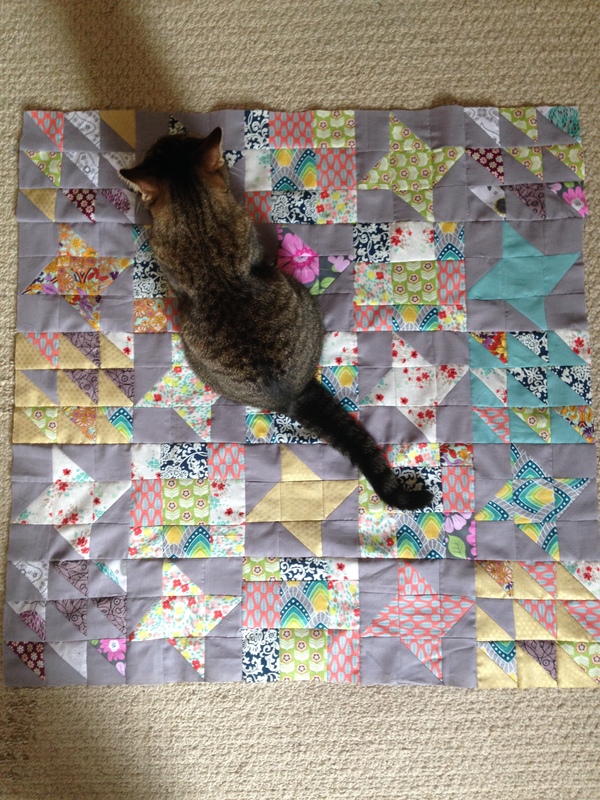 You’re an amazing quilter!! 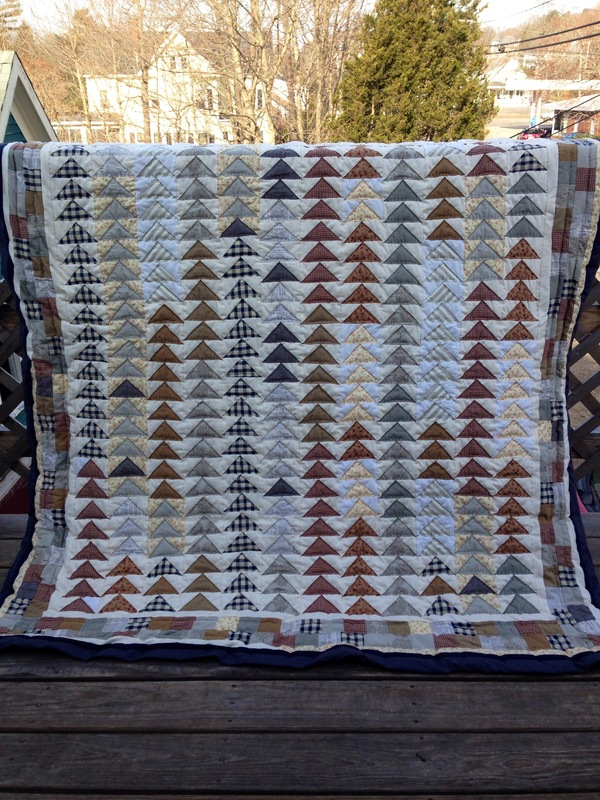 That scrappy quilt is SO BEAUTIFUL! And 2. you’re a third-generation one! That’s so cool! I’m so glad I found you again–I want to see more beautiful photos!